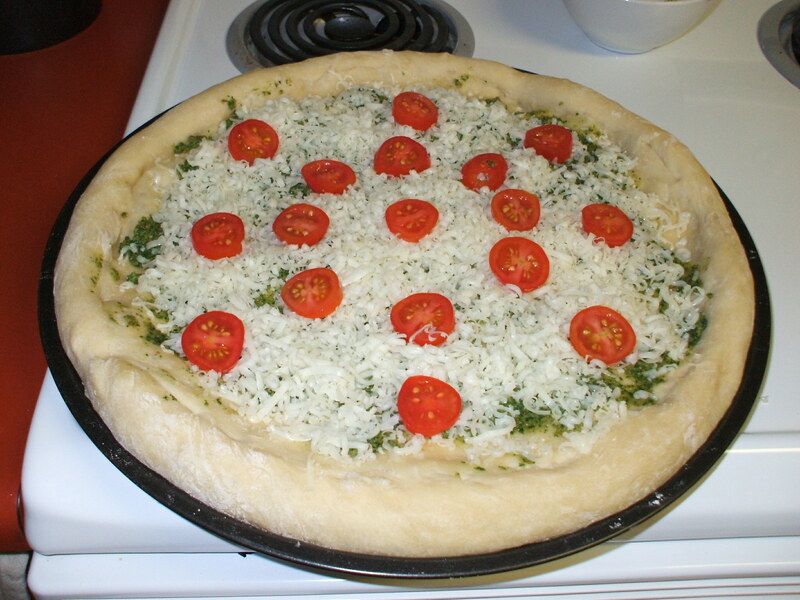 Spread pesto on baked crust, sprinkle with grated mozzarella cheese, arrange tomato slices and sprinkle on parmesan. 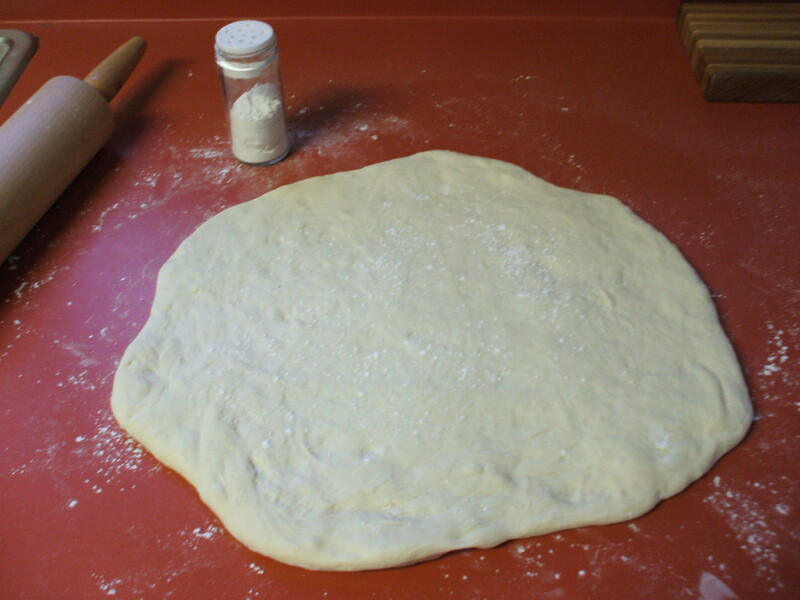 Bake until cheese has melted and crust is golden brown, about 10 minutes. Slice, and serve immediately. *Check out my “flour shaker” I read about it in an issue of Fine Cooking, very hand. 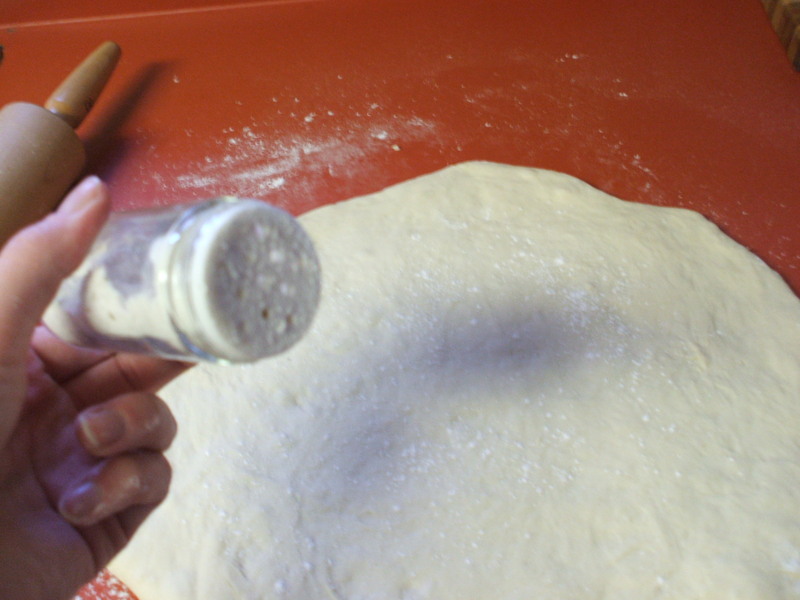 Just fill an old spice jar with flour.